Often the safety of actual equipment is intertwined with the safety of the construction site itself. It's hard to separate the two variables because unsafe equipment equals an unsafe site and site hazards can affect the safety of equipment. Falls: This item always makes the top of the list for construction site hazards. Falls from equipment, scaffolding, and other high places are dangerous and far too common. All construction sites are required to provide basic fall safety precautions and standards. Stairways and ladders: This hazard is highly related to the fall category but you can review safety specific to stairways and ladders at OSHA. Scaffolding: This also causes falls and if put together improperly can cause injuries and death. Often people think about heavy construction equipment safety with respect to equipment that moves but standstill equipment can be just as dangerous when not used properly. Electrical: These safety issues relate to anything powered by electricity or that could be affected negatively by electricity. Heavy equipment that can shock you, fires, explosions, and electrocution are all present hazards at almost any construction site and precautions and safety standards should be followed religiously. This is one of those hazards that can actually start off a chain reaction of negative events which makes electrical safety even more important. Trenching and excavation: If this is your job at a construction site, than you hold one of the most dangerous positions possible to construction work. Excavation alone account for one percent of all work related deaths (most jobs don't even come close to one percent). Cave-ins, asphyxiation due to lack of oxygen, collapsing walls, electrocution, explosions, deep water drowning, unstable soil, and more all play a part in the high death rate of workers. Luckily OSHA has a great e-tool designed for trenching and excavation safety. If you're a construction worker on a site with heavy trenching and excavating reading this tool could save your life. Motor vehicle safety in relation to highway work zones is the sixth top hazard and it's a huge issue and often related directly to heavy moving equipment thus it really needs it's own section. 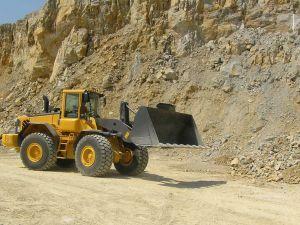 Heavy construction equipment safety is important on many levels. This is another issue, like electrical issues that can hurt many people at once. If even one mistake is made with heavy equipment it can start a chain reaction of negative consequences; both to the site itself and more importantly to worker health and safety. Workers plus heavy moving equipment plus a site with few safety standards can be deadly. Many workers each year are crushed by falling equipment, struck by swinging backhoes, run over, or pinned between vehicles and site walls or other equipment (to name a few). Construction equipment is so large sometimes that the potential for crushing more than one worker in a topple over is great. OSHA offers some ideas and tips for staying safe when working around, with, and inside of heavy construction equipment. Make sure equipment is in good working order each and every day and before every single operation. Use the buddy system. This mean if you have a blind spot; and large machinery often does, than you need one or more buddies carefully directing you where to go when backing up a large piece of equipment. Technically an ultra safety move would be to also install a loud reverse alarm. Triple check that all individuals and co-workers are clear out of the area before dumping a load of materials or other machinery off of a piece of heavy equipment. Never exceed what a machine can carry according to the manual -- can you even find the manual for your site equipment? If not, you should and read it through. All workers should wear bright protective clothing and signs that are highly visible should be set up in a way to discourage non-workers from entering a site. It's easy to find great free caution signs and protective clothing online. Never forget one simple rule: parking breaks. Easy to operate and can save lives. Safety when working with heavy equipment at a construction site is so vast that one small article could never cover it. Here are some further resources. Major Safety offers an amazing resource for construction site workers (and anyone else interested in workplace safety). They took 10 of the top OSHA hazards, collected them on one page and offer videos related to each topic. The Construction Safety Association of Manitoba is one great site. They offer free reading galore on all aspects of construction safety including a really important download of construction safety for younger workers.